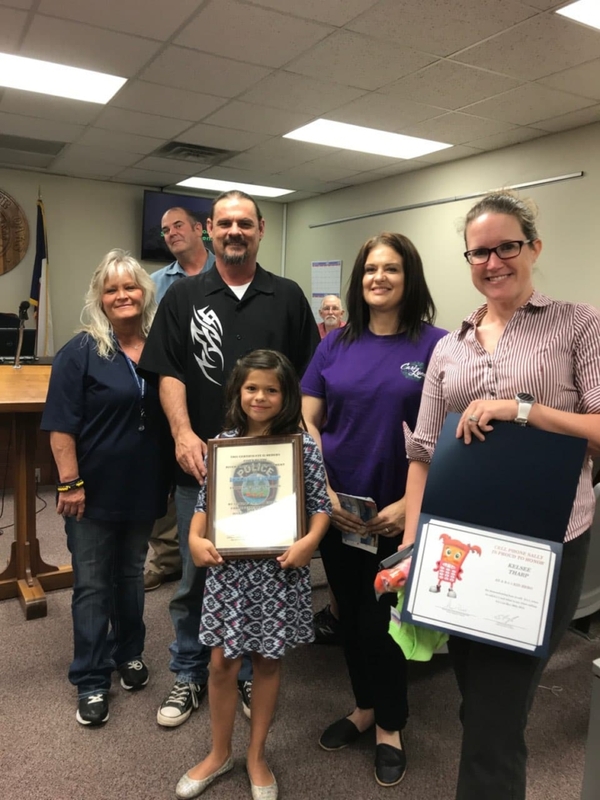 On Tuesday, July 17th Keller Public Safety recognized two separate 9-1-1 kid heroes, Shalee Salinas & Malaki Barton on their bravery & excellent job of calling 9-1-1 when medical attention was needed for their parents. Both children knew their address, stayed calm and answered all of the questions the 9-1-1 operators asked. 9-1-1 operator Renee Solana took the call from Shalee & 9-1-1 operator Crystal Alexander took Malaki’s 9-1-1 call. 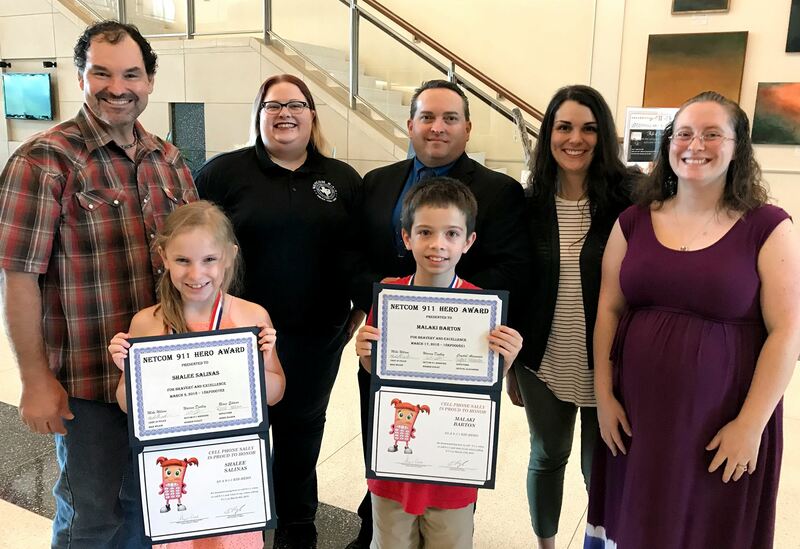 Great job Shalee & Malaki on being 9-1-1 kid heroes! Congratulations to 9 year old Kelsee Tharp who called 9-1-1 when her dad was needing medical attention. Dispatcher Rhonda Ripple with River Oaks Police Department 9-1-1 answered Kelsee’s call. Kelsee remained calm, followed instructions and stayed on the line.